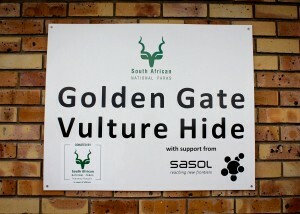 If beauty and the vastness of nature is what you seek, the Golden Gate Vulture Restaurant, located in the Oribi Loop in the Golden Gate National Park, is just the thing for you. The drive of 58 km’s will spoil you with tremendously beautiful views of the Rooiberg and landscapes stretching as far as the Drakensberg. 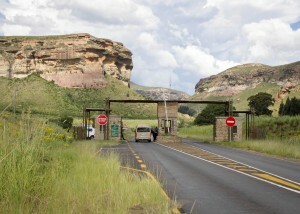 Leave Clarens on the R712 towards the Golden Gate National Park. Continue straight and allow your eyes to follow the hypnotic lines of farmfields whilst the mountains overhead carry the whispers of ancient voices straight to your heart. 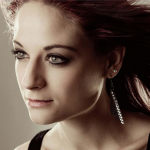 If you fancy some horse riding, why not stop at Bokpoort on the way, or if you have a rumbly tummy, lunch at The Trout & Mallard (Kiara Lodge), Cafe Moulin, Di Bus Stop, Sugar & Cinnamon, or the Golden Gate Hotel. After 19 km’s you will reach the first Gate to the National Park. Friendly staff will kindly ask for your trip details and a short wait of 2-5 min can be expected. The majestic Golden Gate mountains have lured many from far and near and it’s golden splendor will surely be engraved in your memories for many more years to come. 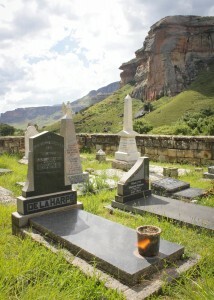 The Wilgenhof Enviro Centre which hosts learning camps will follow shortly after and at 20 km’s into the drive, the Van Reenen Family Graveyard can be visited on the left. Not far from the nostalgic graves is the Meiriteng Picnic Site. The river, horses and mountains make the site the perfect treat for one and all. 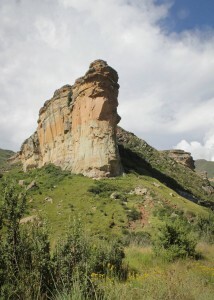 The Golden Gate Hotel will peak its head out from the mountains as you enter Lichen’s pass at 2014m above sea level. Close by one can cross the Echo ravine to enjoy the sounds and vibrations of the Echo Cave, whilst having a quick breather at the Glen Reenen Rest Camp. Here lie the offices of the park and for a mere R32 p/person, permits can be bought to enter the Oribi Loop leading to the Vultures Restaurant. 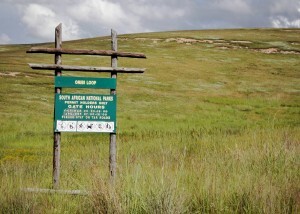 The Oribi Loop will start at 26km’s into the drive from Clarens. The path to the Vulture’s Restaurant will await you after 3km’s. Be on the lookout for a path leading over the mountain and parking space on your left hand side. The short 5min walk along the path will lead you straight to the lookout point. 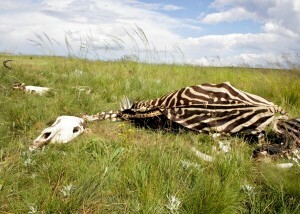 The very neat and functional bird hide will provide hours of entertainment –given that there is fresh carcasses of course. If you are lucky, the Cape Vulture and the endangered Bearded Vulture can be seen scavenging; a sight that will leave you breathless.